WIN a range of fantastic prizes with Donegal Tourism! All this week on the Home Run we have teamed up with Donegal Tourism to give you the chance to win some amazing prizes! 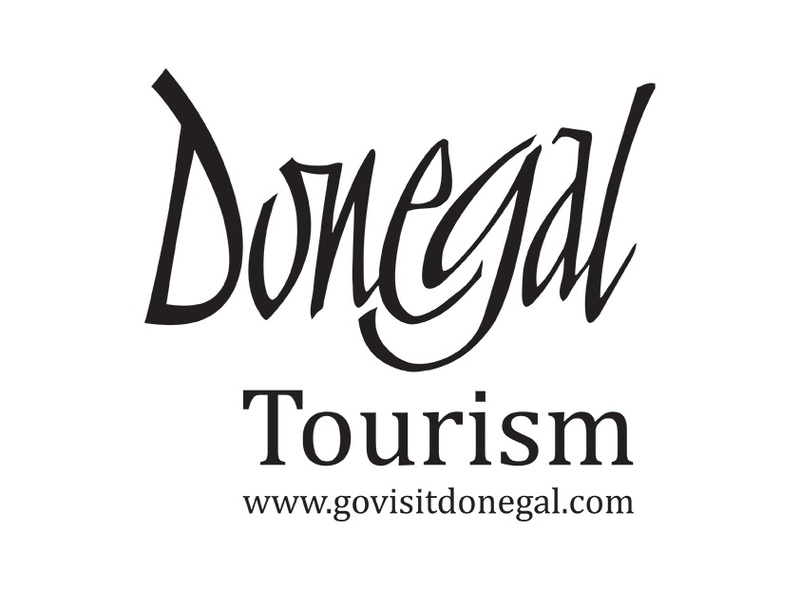 Donegal Tourism will be at Victoria square upper floor outside Goldsmiths from Monday 4th – Sunday 10th February with special offers every day! Take a drive into the heart of Donegal’s North West Gaeltacht, passing by Glenveagh National Park. The iconic Errigal Mountain will guide you on your journey to An Chúirt Hotel & Spa peacefully set along the banks of the River Clady. Relax in PJD Lounge Bar and The Duck Restaurant. Energise yourself in Earagail Health club with the newly opened Spa area or book a treatment at Serenity Hair & Beauty. Make memories at An Chúirt. Prize: One night Dinner, Bed & Breakfast for 2 people. Kee’s Hotel, a family run business for more than 120 years is nestled in the twin towns of Stranorlar and Ballybofey, deep in the heart of Donegal, and is perfectly situated for exploring the mountains, beaches and villages that surround it. Prize: Overnight Bed and Breakfast at the Abbey Hotel. The Abbey and Central Hotels are located in the centre of Donegal Town overlooking Donegal Bay. Boasting Spacious Guestrooms offering lively entertainment with culinary options inspired by the Wild Atlantic Way. An ideal base for exploring local heritage, shopping and a visit to the Highest Sea Cliifs in Europe Sliagh Liag is a must. Prize: Over Night Stay for 2 people with Breakfast. Contemporary boutique style hotel located in the heart of Letterkenny, which is the urban hub of the North West and Shopping Capital of Co. Donegal. Boasting 81 spacious bedrooms. Renowned for a warm Donegal welcome, great food and excellent award winning hospitality. Prize: One night bed & Breakfast. A family owned and operated hotel in the picturesque village of Dunfanaghy on Donegal's Wild Atlantic Way. The hotel is situated in the heart of the village, overlooking the spectacular scenery of Sheephaven Bay, and is an ideal choice for anyone who wants to stay close to the action while still enjoying a friendly and relaxing hotel experience. Prize: One night Dinner, Bed & Breakfast. Lough Eske Castle is a luxury five star castle hotel and spa in Donegal. Tucked within the captivating woodlands of Northwest, Lough Eske Castle offers luxurious accommodation, stunningly set in a meticulously restored 17th Century castle. Featuring just 98 guest suites and a luxurious spa, this secluded hideaway beckons you to leave civilization behind in exquisite style. Prize: Afternoon tea for two. Check into the award-winning Mulroy Woods Hotel. With beautifully refurbished rooms, we are big on comfort with its relaxed ambiance and fireside chairs, Mulroy Woods is the perfect place to pause. Mulroy Woods Hotel is famed for its great food using fresh, locally sourced ingredients. Prize: One Night B&B in a bespoke cosy room plus dinner in The Church Restaurant & Bar on a mid week night in March 2019. The historic Rockhill House is a charming, elegant Country Manor House & Estate nestled in 100 acres of woodlands above Letterkenny. Rockhill House is an ideal retreat for a luxury overnight stay, exclusive wedding, corporate event, private party or family celebration. Prize: Wild Atlantic Way Spring Break staying in the 4 Star Ballyliffin Townhouse Hotel. Enjoy a Beach Trek with Tullagh Bay Equestrian Centre and a Historical Tour to Doagh Famine Village. Experience the famous World Winning Chowder with lunch at Nancy's Barn. Ballyliffin and Clonmany, situated in Ireland’s most northerly peninsula in County Donegal, gives visitors the sense of having experienced all that Ireland has to offer. Its spectacular, breath-taking scenery inspires writers, artists and photographers, providing stunning opportunities to capture this beauty, including a chance to see the Northern Lights. The area is an ideal backdrop for the sports enthusiast too – with hiking, biking, horseriding, surfing and golf among the pursuits you can enjoy here. Immerse yourself in the rich cultural and historical heritage of the place with a tapestry of ancient sites dotting the landscape. Prize: Family pass for Waterworld based on a family of 5. (Open weekends May and daily in June). Bundoran is Ireland's premiere seaside resort and Surf Capital on the Wild Atlantic Way. There's live music all year round with activities to suit the entire family! Try surfing, horseriding, golfing or a relaxing walk on the beach. Portbeg Holiday Homes offers excellent self catering accommodation in Bundoran, Donegal. Our homes are an ideal base for all the family (pets included! ), being right on the cliff along the Wild Atlantic Way with loads of space for everyone.